Three days left to the LEAP YEAR 2016 RAFFLECOPTER‬ ‪AUTHOR‬ GIVEAWAY‬ and we open it with a guest post from Author C. M. Krishack. 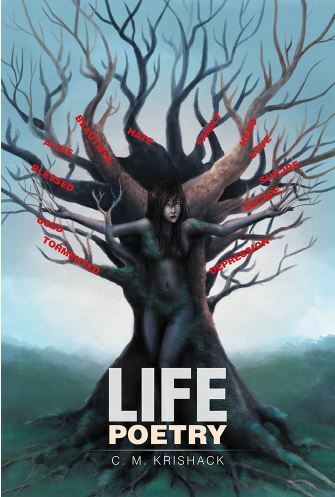 And now without further ado – Author C. M. Krishack and her release, Life Poetry! She was born in Cameroon and raised in the DMV in a family of five children. As a child she dreamed of being famous, helping children overcome adversity and marrying prince charming. She also wanted to travel the world and stay at exotic resorts while being waited on hand and foot. Instead, she grew up and became a Quality Engineer for various fortune 500 IT companies and a full-time mother to her seven year old precocious son Mason. She is married to her real life prince charming, Stephan, and has written several children’s books that deal with overcoming adversity. These days she is very busy with being busy as she pursues her career as an author. She writes faith based children’s stories with themes that include bullying, self-esteem, courage, multicultural and self-worth to name a few. Her characters, although fiction, encounter real life issues that are relatable to children of all ages. She has written four children’s books and one poetry book. Her poem Cancer, received national recognition in the National Amateur Poetry Contest and will be featured in a poetry book titled ‘Where The Mind Dwells’ an anthology of selected works by some of today’s finest amateur poets published by Eber & Wein Publishing and available worldwide. Her genres range from children’s literature, poetry, and adventure stories. Her latest titles include Alexander, What are You?, for children and Life Poetry, the first in a three volume series, an inspirational poetry book about love, life and faith. Oh, and that dream of being famous and traveling the world while being waited on hand and foot … She is still working on that! Life Poetry is a compilation of emotions that I have experienced throughout my life. Most of the poems in this book represent my journey from overcoming the scars of my past, to learning to love myself, and to eventually finding love in my husband and my son. I have experienced all of these emotions, from pain to joy. These poems run the gamut from simple observations to recollections of experiences that affected my life profoundly. I have learned, suffered, and grown from these experiences and have been healed in the process. This journey has taught me that life is to be experienced in all its ups and downs. My hope is that whoever reads these poems will be changed in some way. Thank you, and may God bless the readers of this book.